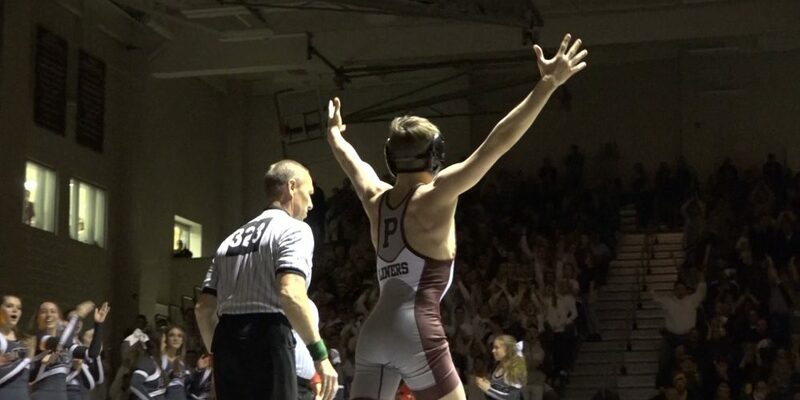 The Phillipsburg Stateliners defeated Easton High School on Wednesday night in arguably one of the biggest high school wrestling rivalries between New Jersey and Pennsylvania public high schools. P’Burg came into this match with a 12-2 overall record, after losing last weekend’s match. After losing the first three bouts to Southern, P’Burg amped it up after sophomore Logan Maczko pinned Easton’s Alex Cameron in the 113-pound weight class. However, it was 120-pound freshman Joe Innamorato who put the Stateliners in the lead. He pinned Easton’s junior Anthony Daiello 3:16 in. The other two pins came from 138-pound Kyle Tino and 195-pound Austin Roth 2:32 and 5:29 into the bouts, respectively. The Phillipsburg Stateliners won eight out of 14 bouts for the night, registering four pins in total. The Stateliners walked away with a 40-22 victory, improving their overall record to 13-2 for the season.